Cllr Richard Eddy is apparently refusing to visit Colston Hall, once it's no longer named after someone who'd be on trial for Crimes against Humanity were they to attempt the same business today. 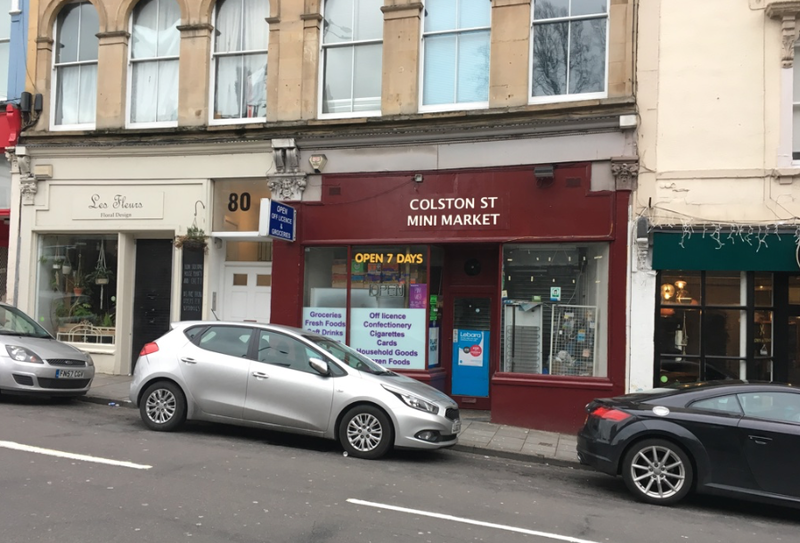 Because yes, it's named after Bristol's most important slave trader, and it's something the city should recognise is an affront to the rest of the country. Naming a prestigious building after a slaver may have been considered socially acceptable in the Victorian era, but we've moved on: time for the city to. That includes the two Colston Schools, the various roads, an ugly 1970s tower block and other bloodstains round the city. What the renaming has shown up is how controversial the topic still is: from polls in the evening post, to articles in the "foreign-interference in the UK election national press", condemning "political correctness" for this historical revisionism. Well, yes, celebrating slavery is considered "politically incorrect" these days. It's interesting what it's thrown up through, not just the view of it as a left-wing/right-wing split, but it can also be seen as a Bristolian vs "newcomer" split, with "Bristolian, born and bred" being a code-phrase for "not from London". Well, it's easy for people to feel defensive, but really changing the name of the hall isn't an attack on Bristol, it's moving the city on. Or, as The Bristolian notes: nobody has ever cared about what happens to parts of the city that aren't associated with it rulers, be it schools across the city, the river the M32 was built over, or any bit of greenery that doesn't have the word "Clifton" in its title or address. For people who want to know a bit more about these topics, consider the Bristol Radical History group. What about Richard Eddy? Is he going to suddenly discover that alongside the history of Bristol's elite, there's the history of Bristol's residents, from the miners of Bedminster to the striking bus drivers of 1960s St Pauls? Unlikely. 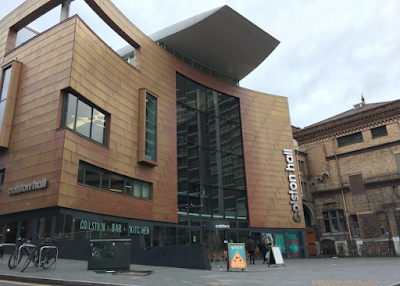 Instead he's just chosen to be ever excluded from the building-formerly-known-as-Colston-Hall. People don't appreciate this, but Colston Mini Mart has an important role to play in the city. It is the nearest place to the Bristol Heart Institute where you can buy cigarettes. You don't appreciate this until you're stuck in there for a week, the same wrist band giving you a wifi password marking you out as someone the door staff won't let out. You're reduced to texting friends and family to visit, bringing up with them a double latte from Costa and a pack of silk cuts. Then you can sneak out after hours onto the balcony and have a quick cigarette while sharing anecdotes of heart bypasses. Nothing to smoke and the remains of your life may be longer, but it will be more painful. That's what we all have to look forward too. All that we get to choose is: do we get anything from the Colston Mini Mark on the way out. Here then, Richard Eddy will be able to go out with the rest of the city.